M Santos Building’s sellings is on call, including weekends, in the Residencial Vista da Fonte’s selling stand, located at Santa Cecília, Vitória (Espirito Santo, Brazil). From Monday to Friday, the stand is going to work from 9h AM to 3h PM. At Sundays, it is from 9h AM to 1h PM. 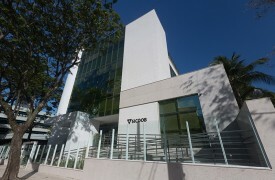 The stand is located at the corner of Mário Benezath street, and Honorio Magalhaes street, near the place where Residencial Vista da Fonte is going to be built. 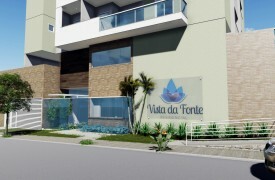 Vista da Fonte’s apartments can come with two bedrooms with 60 m² each one, or three bedrooms with 120 m² each one. One of its greatests amenities includes a rooftop with swimming pool, a gym, the Praça do Luau, the Solarium Gourmet, and a privileged landscape in the rooftoop, from where the Parque da Fonte Grande and the Pedra dos Dois Olhos can be seem. A playground and a party hall are located in the pilotis. It’s more than 350 m² of leisure. Customers can ask for a apartment properly equipped for aged people or people with special needs. 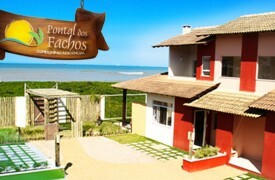 Residencial Vista da Fonte is located at Santa Cecilia, a peaceful neighborhood with many houses. It gives easy access to Vitoria’s most important highways, as well as to many commercial buildings and services, like bakeries, drugstores, and hospitals. Future residents are going to have a privileged view from the Parque da Fonte Grande, and the Pedra dos Dois Olhos. The building are also going to be near of the Parque Barão do Monjardim, a park where it is possible to walk.